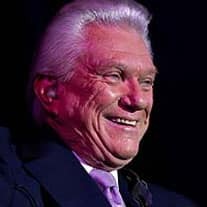 When Tommy Hunter was growing up in London, Ontario, in the forties and fifties, he could barely find a radio station that played country music. Today, of course, country is huge on radio and TV, and some could argue that Tommy played a big part in its growth in North America, starting with his first gig playing some hurtin' tunes on his guitar at age 13. 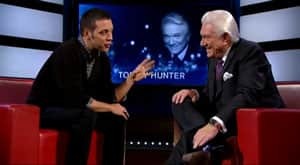 For 27 years, 'The Tommy Hunter Show', broadcast on CBC, created our version of the Grand Ole Opry. Known as Canada's Country Gentleman, he hosted guests such as Johnny Cash, Hank Snow and Tommy's personal hero, Roy Acuff. Tommy even had a 14-year-old Shania Twain on his show, back when she was known simply as Eilleen Twain. At the show's peak, more than three million people tuned in -- not bad for a high-school dropout. 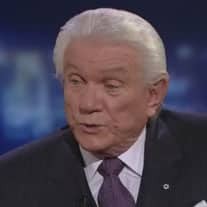 But like most country stars, Tommy knew pain. He had a few bitter fights with some of the show's writers and producers, and in 1992, 'The Tommy Hunter Show' was cancelled. Since the end of his show, Tommy focused on touring across the country, but then he made a big decision: he hung up his guitar after one last show on his 75th birthday in his hometown. When he took his last bow, it was truly the end of an era.